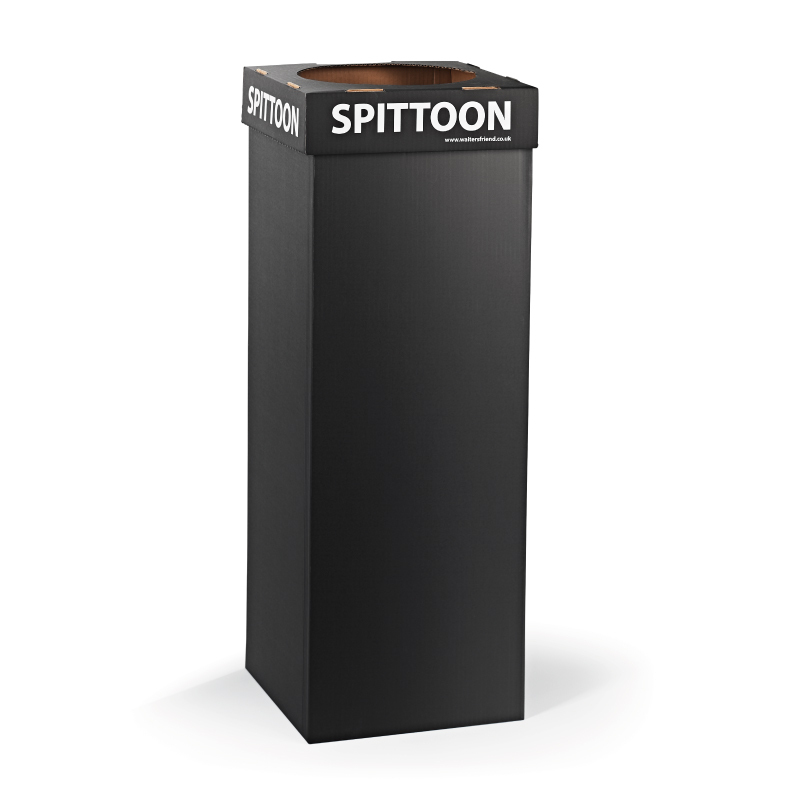 Ideal for use at wine tastings and events the smart black Disposable Spittoon is made from heavy duty cardboard. Supplied flat-packed for easy storage, the cardboard wine spittoon can be quickly assembled at the venue. Supplied with heavy-duty black plastic bag and lid with ‘SPITTOON’ printed in white on all four sides. We recommend using sawdust or an absorbent pillow in the base to absorb the liquid.